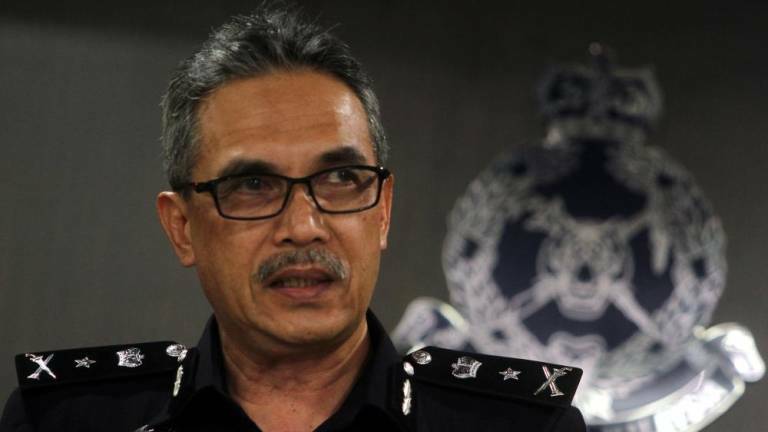 15 Apr 2019 / 16:50 H.
Negri Sembilan acting police chief Datuk Mohamad Mat Yusop. RANTAU: Three members of a political party have been arrested over the intimidation and harassment of two policemen in a police vehicle during the Rantau by-election. This brings the number of suspects held over the incident to five. Negri Sembilan acting police chief Datuk Mohamad Mat Yusop said the three men were detained later yesterday and today. “Five men in total have been arrested. Two were detained yesterday at noon, another was arrested later the same day. We nabbed two more today,” Mohamad told theSun when contacted. Police had initiated a probe under Section 341 of the Penal Code for punishment for wrongful restraints and under Section 186 of the Penal Code for obstructing public servant in discharge of his public function. Meanwhile, MCA Youth Chief Nicole Wong Siaw Ting urged the people to reject such thuggish behaviour and adhere to the existing law. “The police should not hesitate to take action against these culprits because the video evidence is in place. Such behavior should never be tolerated. Pakatan Harapan members should comply to the law and do not get involve in incidents that could disrupt peace,“ she said. In the incident on Saturday, the five individuals allegedly stopped a police vehicle for a “routine check” about 6pm outside the SJK(C) Chung Hua voting centre in Rantau. It is believed the men in t-shirts with PH logo were checking for evidence of electoral fraud in favour of Barisan Nasional. The vehicle was escorting another car carrying ballot papers to a vote tallying centre at SJKC Chung Hua at 6pm. Video of the incident has gone viral on social media.